It&apos;s a weekend filled with outdoor fun in Wilmington, Delaware & the Brandywine Valley! Here are our picks for your weekend itinerary – and don’t forget to share your travel pictures using #VisitWilm on Instagram & Twitter! 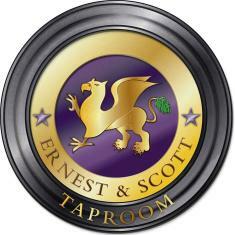 The 900 block of Market Street will be closed as Ernest & Scott hosts 3 bands and 7 DJs, wrapping up at 10pm. There will be food and merchandise vendors plus margarita, mojito and beer stations lining Market Street. May Market: Head to Historic New Castle & celebrate spring with the May Market! Purchase fresh plants, herbs, baked goods & more! Garden experts will be on hand to answer your gardening questions. Wilmington Garden Day: Held rain or shine, this is a one-day self-guided tour of 13 of the area&apos;s most distinctive homes and spectacular gardens. It&apos;s a perfect way to get new decorating ideas - both inside and out. 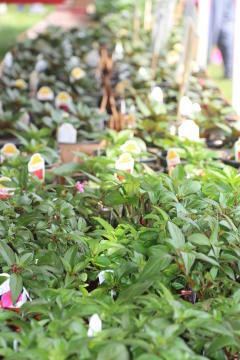 Native Plant Sale: Join the Delaware Nature Society at Coverdale Farm for their huge plant sale! Featuring over 300 rare, unusual, and favorite wildflowers, trees, shrubs, ferns and aquatic plants for all growing conditions. Join Auburn Heights for a day celebrating all things train (big & small)! Planned activities include: Rides on the Auburn Valley Railroad featuring the 1/8-size live steam and diesel locomotives; a photo exhibit on the making of the Auburn Valley Railroad, family and kids’ activities to get your creative juices flowing, 1930s-era electric trains in the Marshall Steam Museum, as well as special guests and displays. Enjoy a day of elite horse racing and celebrate the 39th Annual Point-to-Point! Join Winterthur for kids&apos; activities, festive tailgating, and beautiful hospitality tents with elegant luncheons. General admission wristbands include access to all of the race day activities, free remote parking on Winterthur grounds, and the option to picnic on the infield hill overlooking the race track and finish line.